Thank you very much for your interest in participating in HYPER JAPAN Festival 2019! 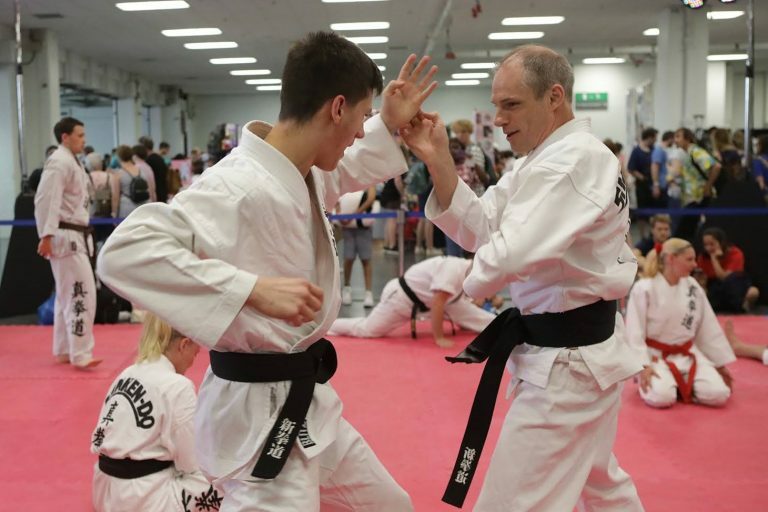 We are looking for participants to demonstrate Japanese martial arts or Japanese traiditonal performances. To be considered as a candidate for our J-Culture Showcase participants, please fill out and submit this application form. 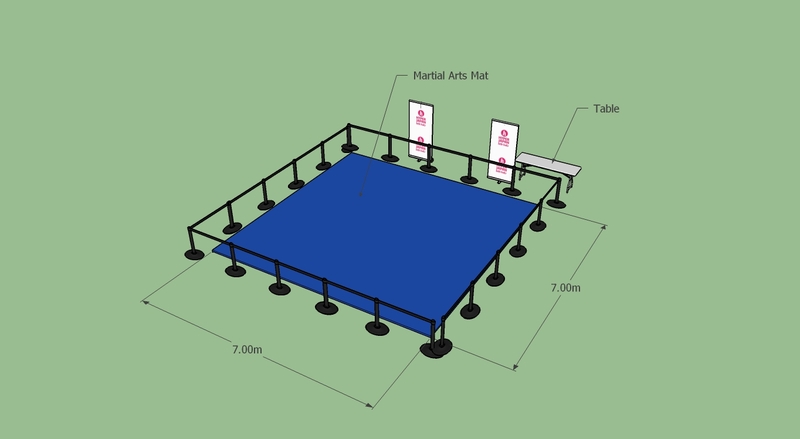 J-Culture showcase is a matted area, where audience can enjoy seeing martial arts demonstrations. Each performance slot is for 45mins (30 mins+ 15 minsset-up/break-down). Maximam number of Performer Pass allocated to each group is 15. Your Performer Pass will only be valid for the date(s) of your demonstration, and they must be returned after your last demonstration. There is no complimentary tickets for performers' family or friends. 2-3 staffs are stationed at the area to assist you on the day. Changing rooms and Makeup rooms are available, but will be shared with other performers. Please do not leave any valuable items in the Changing Room. If you wish to leave your laggage, please use the venue's colak service. *Applications are closed on 30th June 2019. Successful applicants will be contacted by email by the first week of November. If Yes, please give us number of the performers under the age of 16. If Yes, please give us more details about your audience participation. If you are not a UK/EEA/Swiss national, you must have one of these listed visas, which allow for performing in the UK. Anyone on a Tourist/Visitor/Student visa is NOT allowed to perform in HYPER JAPAN. This document will also serve as a contract to performance on Main Stage at HYPER JAPAN Winter 2018. The date, venue, time, admission fee shall be determined solely and freely by the Organiser and may be changed by the organiser pursuant to changes in the components thereof. Expenses, including travel, accommodation, food and other miscellaneous expenses are not covered and the responsibility for payment for any incurred shall rest solely with the performer. Additionally, performers will be responsible for arranging their own transport and accommodation to and from the site. In accordance with UK privacy laws and regulations, and personal information received from an applicant will only be viewed by designated Cross Media Ltd. employees assigned to the visa application department, and by UK Home Office-approved lawyers, and solely for the purposes of ensuring documentation are in order. Any verification will only take place prior to UK Home Office document submission. The stage equipment package outlined in the form constitutes the totality of the equipment that will be provided by the organisers. Any equipment not listed in the package, can be arranged for a separate fee by the performer or by event organiser-approved contractors and include but are not limited to special lighting, AV equipment, specialised performance equipment, furniture, sundry items, DJ sets, amplifiers, DI units, keyboards, and drum sets. Security, translators and extra staff can also be arranged. (Please note that the MC provided by the event organisers will introduce performances and performers but will not be providing translation services. Still photography and/or motion picture photography taken either during the event or inside the venue may be requested from either the venue or event organisers. Cooperation from the holder of the data is requested in the event of such an occasion. Cancellation may occur when both Organiser and Participant agree to do so. In the event that one party is unable to meet the obligations of participation and chooses to cancel, the party wishing to cancel will be responsible for any loss attributable to the cancelation. Reasons for cancelation outside the ability of the Organiser or Participant to predict, affect, or solve, shall not be grounds for liability. Please assist in publicity efforts carried out by the Organisers. Any publicity materials required for such efforts will be provided by the Participants in a timely manner. Performance and rehearsal schedules will be determined by the organiser. 以上の内容に合意の上、イベント出演を申し込みます。I have read and agreed to the above Terms and Conditions.